Property 6: Newly Renovated & Raised Cottage 250 Steps To The Beach Walk To Everything! Property 8: Tuckerton Beach Waterfront Bungalow, Close to Long Beach Island & Atlantic City! Relaxing Midway Beach Cottage - Kid Friendly on Beach Block!!! 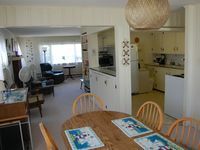 Property 20: Relaxing Midway Beach Cottage - Kid Friendly on Beach Block!!! 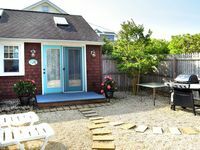 Property 22: Charming Surf City Cottage - Steps to Beach & Bay! Property 23: FANTASTIC LOCATION! Gorgeous single family home only 5 houses from the beach! Home was lovely. It was a perfect getaway weekend in a great location. Thank you! Nice private courtyard, short walk to the beach, great outdoor shower. Perfect for two people. However, it states there is wi-fi, but you can't pick it up inside. Friendly owners.